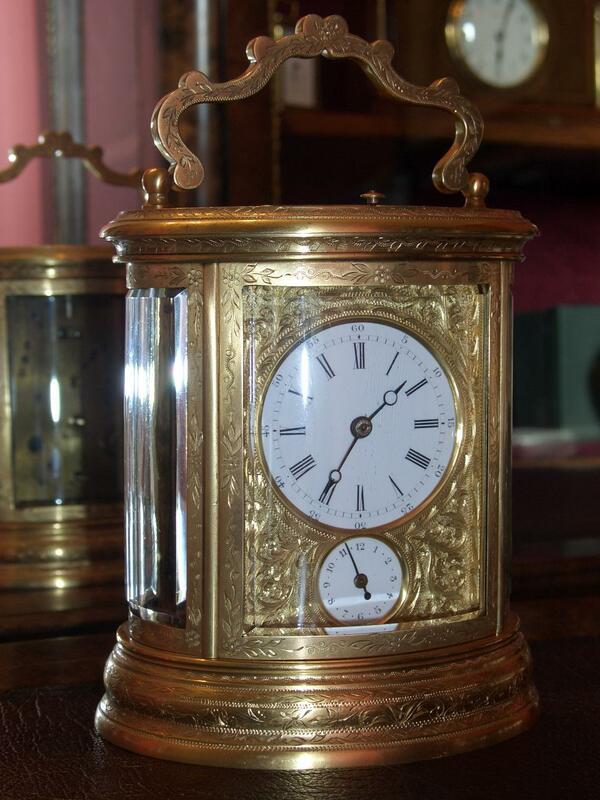 Miniature Matthew Norman carriage clock. 8 day timepiece movement, signed Matthew Norman, London 1742 on back plate. Solid brass case with 4 bevelled glass panels. Made in Switzerland with original Breguet style hands and Jewelled lever escapment. Comes with original double ended key. Fully restored with one years guarantee. 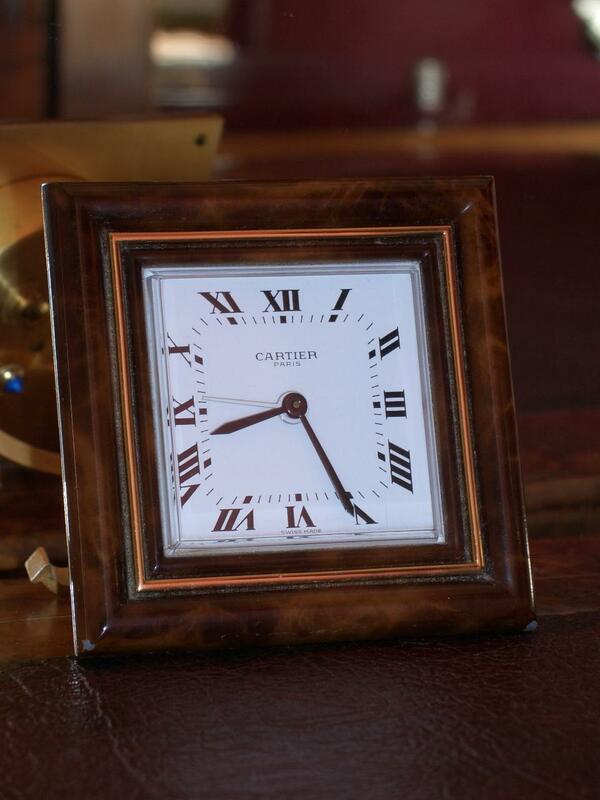 Cartier, travelling alarm clock – SOLD. 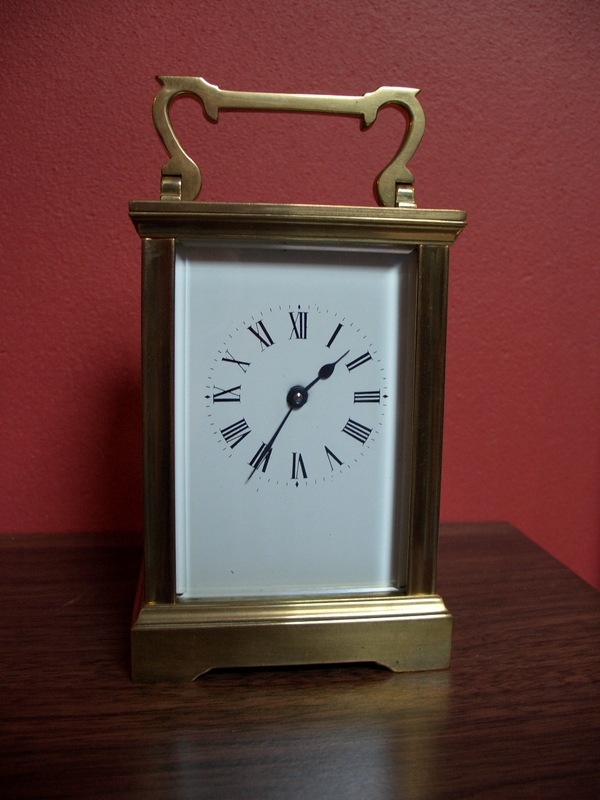 Tortishell cased Cartier travelling alarm strut clock. Swiss made 8 day movement with jewelled lever escapement. Fully restored with one years guarantee. 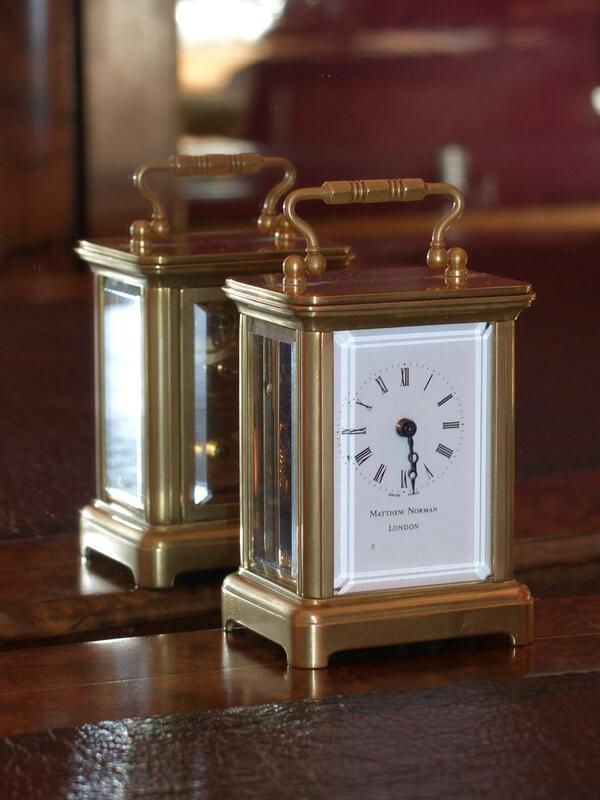 French 8 day carriage timepiece with jewelled lever platform escapement. Enamel dial with spade hands and Roman numerals. Five bevelled glass panels to case. Fully restored with one years guarantee.